A Virtual Private Network (VPN) provides you online privacy along with anonymity as it encrypts all the data that you transmit over the internet. Not many know that the Internet is a dangerous place with tons of people waiting for a chance to invade your privacy and steal your data. But using a VPN will hide your IP address and protect your online privacy. It helps you secure your data and personal information. Choosing which one is the best may be difficult as there are a lot of VPN services out there to choose from and it can be a bit daunting. Hence, we’ve come up with this article with the Best VPN Services and hopefully this will be able help guide you through. ExpressVPN is another excellent VPN service that you can trust and that is the reason it has made it to our list. They have a large number of servers and provide exceptional customer service. They also come up with great deals and offers from time to time. One of the main reason that many opt for the ExpressVPN because of its 30-day money back guarantee. You can try the service for 30 days and if you don’t like the quality of the service, then your money will be completely refunded. ExpressVPN consists of around 2000 servers spread across 148 locations throughout the world. So this literally means, wherever you are or your specific location is, you will always get the best quality service. They even let you choose the servers with the fastest download speeds. And you never need to worry about losing any of your private information as the company has a strict no-logs rule, so none of your browsing history or your activities is recorded at any point in time. It is compatible across all platforms including iOS, Android, Windows and Linux. NordVPN is another great VPN service that ranks highly in our speed tests. The VPN service also allows torrenting and the interesting aspect that many like NordVPN due to its budget monthly plans. It also comes with a lot of features including Kill Switch feature that shuts down your connection automatically when it detects when your connection is no longer secure. The service also provides you with an option to have the kill-switch feature enabled for a particular application or the whole system. And another great security feature with NordVPN is that it encrypts all your data twice for additional security. NordVPN allows 6 simultaneous connections and contains over 3350 servers spread across 64 countries. Private Internet Access is a VPN service based in the United States and adheres to the general guidelines of zero-logging policy. Many have chosen the VPN provider for its reliable and trusted service. It comes with a lot of interesting features like the kill-switch that shuts down automatically when an insecure connection is connected along with various other features like DNS leak protection, Compatibility with SOCKS5, top-level encryption and support for all kinds of protocols except IKEv2. The PIA can allow up to 5 simultaneous connections. When it comes to having the biggest server roasters, PIA leads the pack with more than 3000 servers spread across 25 countries. 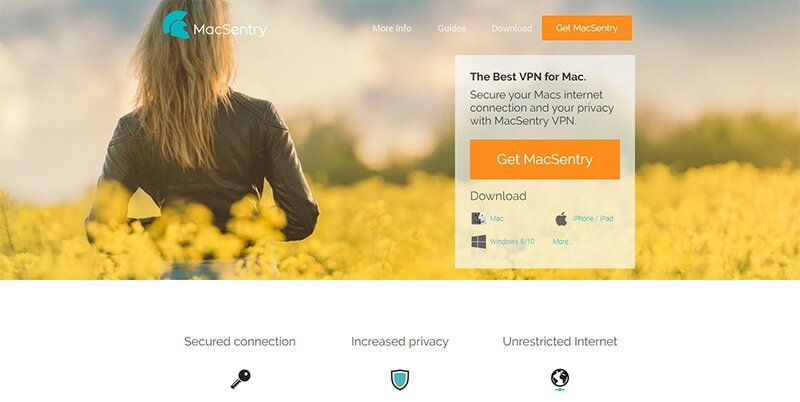 MacSentry is the last but not the least VPN service in our list and is based in Belize and as the name suggests, the VPN service is mainly designed for assisting Mac and iOS users only. Hence, you can use the VPN service only in iOS devices. Although, when you work on some manual configuration it can still be used in Windows, Linux and Android devices. The VPN comes with an easy-to-use interface and is pretty much easy to setup. The service has around 18 server location spread across 14 countries. Even though the number of servers offered by this VPN service provider is much lesser when compared with other services, it still provides a lot of features that found on most of the other VPN services. One of the interesting aspects that many like about this VPN service it has the ability to unlock any kind of website and provide its users with unlimited access to the website. 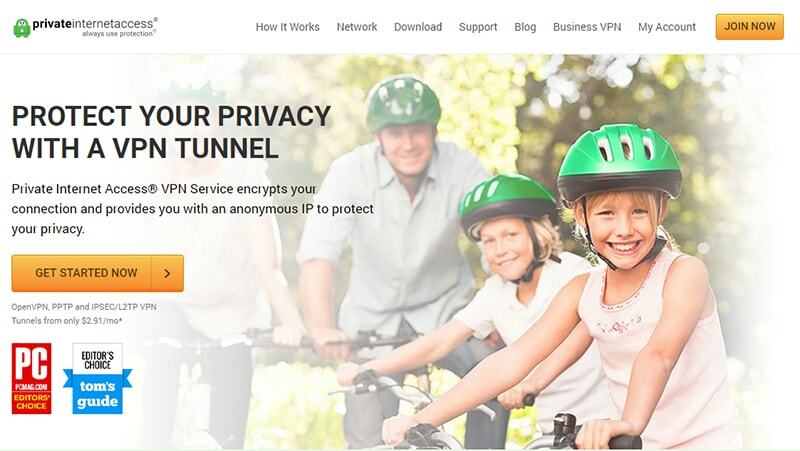 The VPN service also supports various protocols including IKEv2, OpenVPN, IPSec, L2TP etc. It only records a small amount of data of the users including the username, IP address, session information along with the total amount of data transferred. But once the user disconnects from the service, the data is automatically deleted. There are also various built-in tools that will help in boosting the performance of their devices.